The Holiday Inn Gatwick Worth is the highest 4 star AA Accredited hotel in Gatwick and Crawley, and is just 12 minutes from the airport by taxi. This contemporary hotel offers guests a relaxing stay in modern air-conditioned rooms – all featuring complimentary WiFi. The nearby fitness centre provides a pool and gym access at an additional cost. With its great location, this hotel is perfect for both leisure and business travellers looking for a peaceful night’s sleep before they travel. 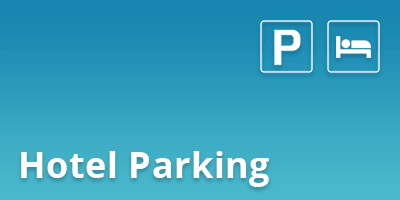 The Holiday Inn Gatwick Worth is also perfect with APH Park & Ride, situated just six minutes from the hotel. Kids aged 13 and under eat for free per every paying adult. The hotel offers a range of family rooms suitable for up to four family members, as well as an adapted children's menu in the hotel restaurant and high chairs if required. WiFi is also available throughout the hotel. Travel cots can also be provided if required. Guests can take advantage of the adjacent Nuffield Health Gym at a cost of £6 per person for a full day pass. A pre-authorisation is required upon arrival. This deposit is fully refundable and will appear back in your account 7-10 days after check-out, provided no additional charges have been incurred. If you are booking to park at the hotel for the duration of your trip you will be required to leave your keys with the hotel. Your vehicle may be required to be moved to another area of the secure hotel car park. Suitable for up to two adults, double rooms are furnished with a king sized bed. Travel cots can be provided in all room types free of charge, subject to availability. Suitable for up to two adults, twin rooms are furnished with two standard-size single beds. Travel cots can be provided in all room types free of charge, subject to availability. Suitable for up to three people, triple rooms are furnished with one king bed and a single sofa-bed. Travel cots can be provided in all room types free of charge, subject to availability. Suitable for up to two adults and one child, family rooms are furnished with either one king bed and a double sofa-bed or two king beds. Travel cots can be provided in all room types free of charge, subject to availability. Suitable for up to two adults and up to two children, family rooms are furnished with either one king bed and a double sofa-bed or two king beds. Travel cots can be provided in all room types free of charge, subject to availability. Park your car and make your way to the hotel check-in desk. Don’t forget to input your car registration plate if required. Have a pleasant stay! Transfers are available to the airport via taxi at a cost of approximately £11.50. On return, Transfers are again available from the airport via taxi at a cost of approximately £11.50. Drive to the hotel and park with them overnight free of charge - Enjoy your stay! 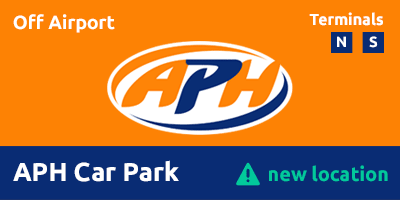 On the day of your flight drive 4 minutes to the APH Car Park and catch the free 10-12 minute transfer which runs 24 hours a day every 15 minutes to both terminals. Drive to the hotel and park overnight free of charge - Enjoy your stay. 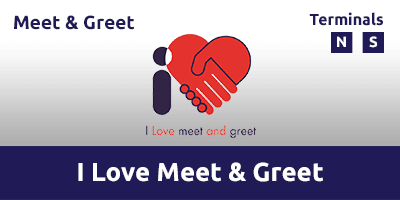 On the day of your flight, drive to your departure terminal where you will be met by I Love Meet & Greet. On return, I Love Meet & Greet will deliver your car to you at the terminal so you can be on your way home as quickly as possible. Go straight over the 1st roundabout. Follow this road going over the motorway bridge and down to the roundabout. Head over the flyover and the entrance road to the hotel will be first turning on the left.